It’s that time of year yet again where we take stock of what has been before and look forward to what yet may come. I’ve already discussed some of my favourite games of the year on our latest podcast episode but that doesn’t stop me from sticking with tradition and writing up a list of my favourite games of the year. As with every year it’s not possible to play every single game (unless your surname is Vasel) but I always have a damn good go to play as many games as I can. Unfortunately, there are always those that slip through the net. I haven’t had any chance to play Euro-darlings Cottage Garden and A Feast for Odin and my miniature game addiction laments that I haven’t had the opportunity to play The Others: 7 Sins, even though one of my gaming group went crazy with the Kickstarter it got stuck at sea for a very long time. The games I regret not playing the most however are Terraforming Mars and Cry Havoc both of which come highly praised. What if you could make Battleships more fun? Well one way to do it is to make the battleships on a spaceship and turn one side into aliens but technically Escape From the Aliens in Outer Space was released a few years ago even if the shiny version from Osprey only came out this year. The other way to make Battleships more fun is to add some modern board game sensibilities, multiple players and dry erase markers, and the result is Captain Sonar. In Captain Sonar two teams of four take the helm of opposing submarines, skulking through waters and attempting to sink the opposition. Each team member takes a different role, whether it is the Captain deciding where to move, the Radio Operator listening in on the opposite side or the Engineer and Chief Mate making sure the whole sub is ticking over smoothly and ready to fire torpedoes. What makes Captain Sonar truly great fun is that the entire game is played in real-time, no turns, no waiting for your opponent to decide what to do just shout out your orders for the rest of your crew. Capetian Sonar is a game where teamwork is essential but is usually lacking so the game turns into a frantic shouting match as each Captain desperately tries to outmanoeuvre their opponent and fire off that lucky torpedo. 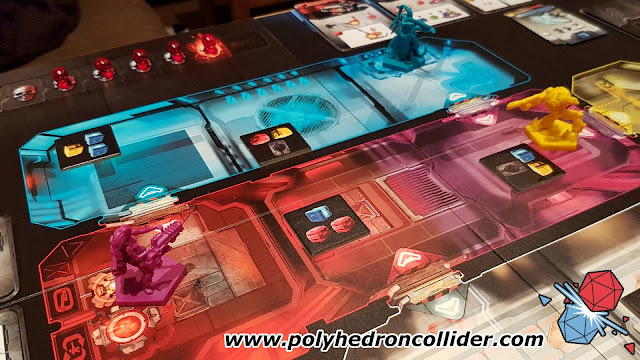 The downside is that Captain Sonar really does need eight players to get the most out of the game, and it can be very noisy for everyone else in the room, but you'll be having so much fun you won't care. Scythe could have been much higher on this list if it had actually done what it was advertised to do. I was sold on the concept of Agricola meets Kemet. I was sold on the concept of giant post-first Wolrd War mechs in a middle of a resource management game. Unfortunately, what we actually got was a resource management game with giant robotic tractors. Tractors. So why is Scythe still on this list? Because if you ignore the original premise and actually play the game with an open mind you cannot deny it’s a good game. You can use your mechs to fight off the opposition but you’re going to be dissuaded from doing so and instead you’re much better off playing to your faction’s individual strength and controlling the board in the right way. I like to think of Scythe as a 2X game being largely about expanding and exploiting. You’ll spread out from your original location, gathering the resources and using them to upgrade you player board, resource gathering engine and mech arsenal. 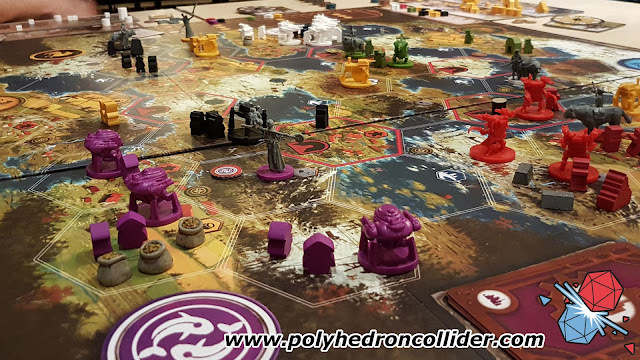 Where Scythe really shines is the plethora of point scoring opportunities available to you and the simplicity in it basic gameplay which leads to a game with a tractor full of deep strategic decisions. What is best in life? To crush your enemies, to see them driven before you and hear the lamentation of the GM. Conan was one of those Kickstarter, you know the ones. Makes a enough money to make a wall street trader blush, delivers late, and when it finally arrived everyone who didn't back it (me included) is envious of everyone else having a metric tonne of plastic turn up at their house. The good news though is that Conan is available in retails and its bloody good fun. Conan takes the classic one versus many mainstay of Dungeons & Dragons, Heroquest and Descent and make a much more daring and cinematic game of action and adventure. Central to the game is a simple resource management system that means that you could, in theory, take as many actions as you want in a turn but that leaves you reaching for the inhaler and having to take a nice cup of tea and a sit down in your following turn. This combined with Conan's turn structure, or lack of more importantly, means that the action in Conan flows, as players swap actions, hack down monsters and blow up evil necromancers with fire balls. The fun doesn't end there; the evil mastermind of a GM also has resources to manage and controls everything through a little console that encourages the GM to activate every bad guy on the board but allows the flexibility to activate a key enemy several times in a single turn. The entire system results in a game that flows unlike any other dungeon crawler or miniature board game. 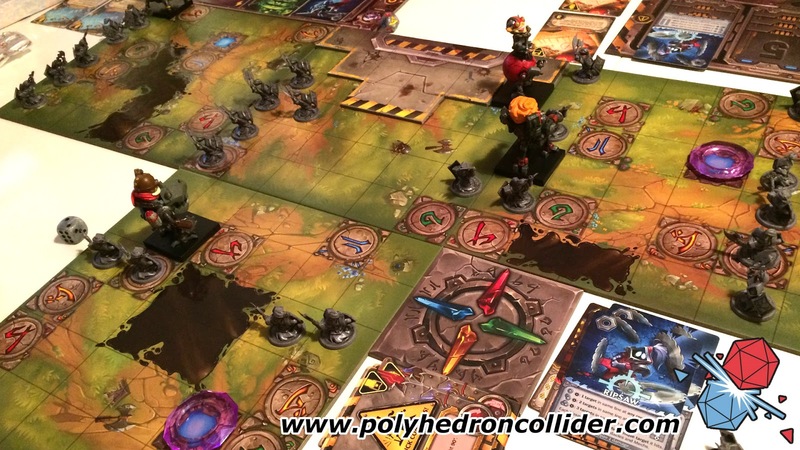 Simply put, Mechs vs. Minions is a cooperative version of Roborally, with just as much out of control mayhem and wanton destruction. Based upon League of Legends, Mechs vs. Minions has you attempting to program your mech to complete objectives while at the same time keeping the hordes of advancing minions at bay. Gameplay itself is relatively simple but has a large dose of silliness to it as you attempt to keep you mech under some modicum of control, hampered by those meddlesome minions causing your carefully crafted program to run amok. It’s in the quality of the components where Mechs vs. Minions really shines. The level of bling in this game is through the roof, feeling like a fully stretch goaled to the limit Kickstarter reward but coming in at a fraction of the price. Adrenaline, quite literally, blew us away at the UK Games Expo by managing to blend Eurogame mechanics of area control and resource management into a tense and highly confrontational game of shooty shooty bang bang. Taking inspiration from old school FPS arena shooters like Quake and Unreal Tournament, Adrenaline has you scrambling round a tight arena attempting to grab the juiciest guns and plenty of ammo to shoot your opponents into oblivion. There’s a level of abstraction at work as Adrenaline sometimes struggles to balance its theme and mechanics but to me the game works brilliantly, turning the concept into a shooting fest full of strategic options. What happens when you cross Pandemic and Arkham Horror? Why you get Pandemic: Reign of Cthulhu of course. And at the simplest level that’s what this game is, a variant of Pandemic set in the four towns of Lovecraft literature, but thankfully the game is so much more than the sum of its parts. Not only does Reign of Cthulhu mix-up the theme of Pandemic, it also messes round with the mechanics. 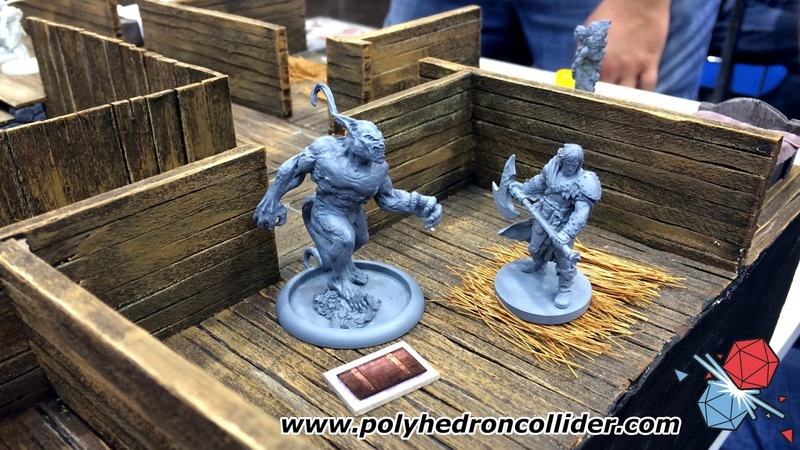 Gone are the disease cubes and instead are cultists and shoggoths, the latter of which can cause a major headache as they move around the board heading towards dark gates and speeding your journey to destruction. Gone are the outbreak and infection tracks and in is a Great Old one track that not only plays differently in every game but the effects of each outer god can seriously change the way you have to approach the game. 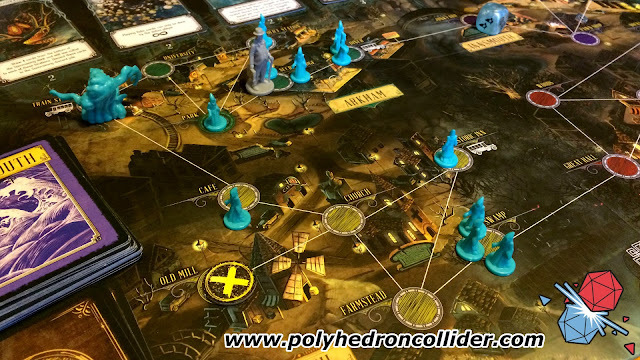 There’s still enough of Pandemic’s DNA within Reign of Cthulhu that it feels like a remix rather than a reskin, the tension and easy to learn gameplay are still present but now wrapped up in a rather cool Cthulhu package. Star Wars Rebellion is the entire original trilogy in a single game. 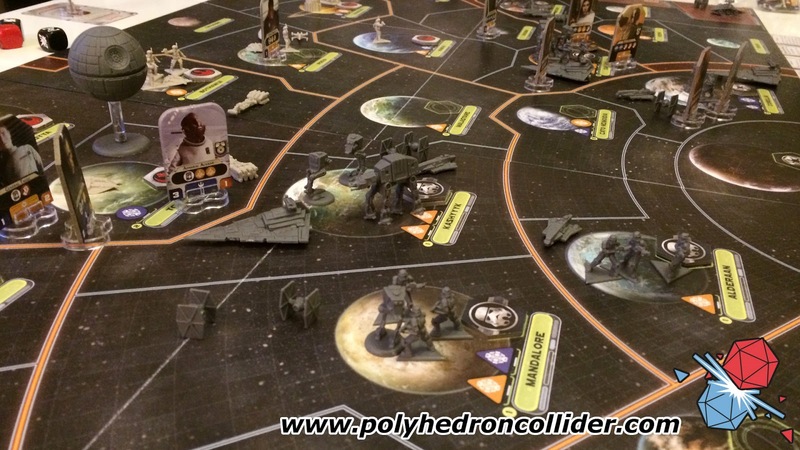 Starting were Rogue One finishes Star Wars Rebellion has the Empire in possession of the ultimate super-weapon but not the location of the rebel base. The empire's goal is simple; find and destroy the rebel base before the Rebellion can gain superiority and overthrow the Empire. At its heart Star Wars Rebellion is a game of cat and mouse. The rebels are hidden somewhere in the galaxy and must build up their forces and succeed in daring missions to build up support amongst the populace. On the opposing side the empire must search out the rebels whilst crushing the will of those who support the rebellion and stopping the rebels wherever it can. It's a true asymmetric game, with the Empire having huge amounts of troops and materiel at their disposal, represented beautifully buy some of the best board game pieces on the market today, and the rebels having a handful of plucky units that have to deployed carefully. However, it’s the way that Rebellion truly captures the feel of the entire Star Wars trilogy in a single game that makes it one of my favourite games of the year. How do you improve on Codenames? Codenames was my favourite game of 2015 and my most played game of 2016 and now with Codenames Pictures this trend is set to continue. 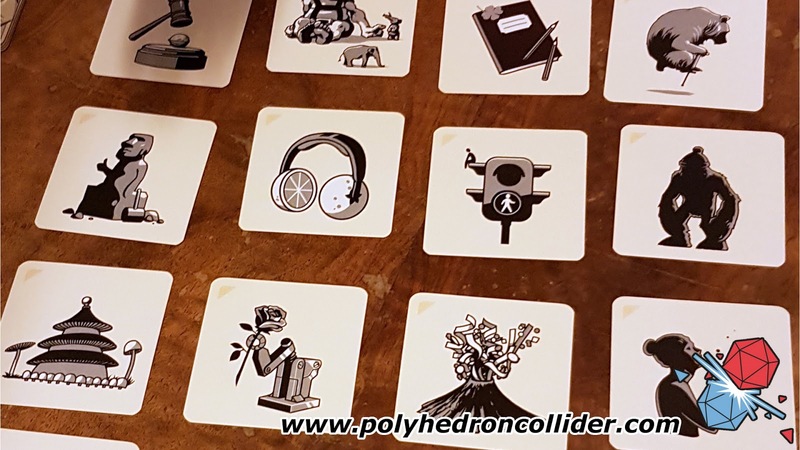 Codenames Pictures works on the same basic principle, a grid of ambiguous yet simple images is placed out in front of the players. The players then split into two teams and a 'spymaster' has to provide simple single-word clues to their team to help them identify the correct images. It’s a race to clear your spies before the opposition so managing to string multiple images into a single clue becomes the goal. Codenames works best when played with a lot of people (6 minimum in my opinion) as the more players there are the more chance that people's brain will work differently, what looks like a bat to one player is a dragon to another. It's these differences of interpretation that really make Codenames Pictures the most genuinely funny game that I have ever played. Lovecraftian Horror is a prevailing theme within my favourite board games, for some reason I can’t keep away from the tentacled indescribable horrors from another dimension. There are no less than 3 games on this list based on The Cthulhu Mythos but the top slot is hotly contested. Arkham Horror: The Card a Game achieves something stellar within the genre, it is a cooperative Living Card Game, that takes its players through a narrative where every game effects the next in interesting and rather cool ways. 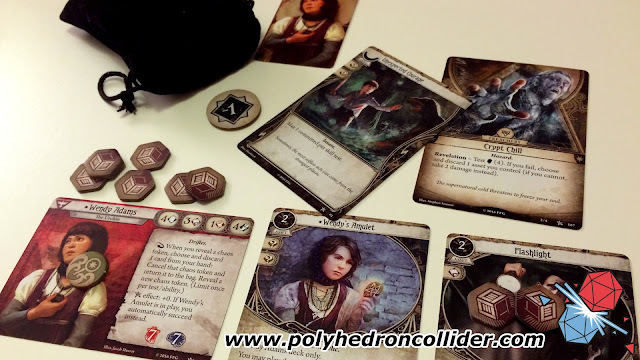 Anyone who has played both the original Arkham Horror board game and the Lord of the Rings LCG will understand immediately how this game works as it manages to blend both games. Central to the game is creating a deck to represent your investigator, and then upgrading your deck with new skills after each scenario and downgrading the deck with madness and other horrific effects. The decks that represent your adversaries also keeps track of the changes, if you failed to kill that big band monster, well he'll be back. At the time of writing Arkham Horror suffers from a distinct lack of cards, but as expansions start trickling through then I can see Arkham Horror growing through 2017. There are many people who wish to keep their board games purely cardboard, not wanting to tie their gaming experiences to technology that could go out of date. Personally I am really excited about how video games and board games can be combined to make new and exciting experiences and to me Mansions of Madness: Second Edition was a triumph in this area. 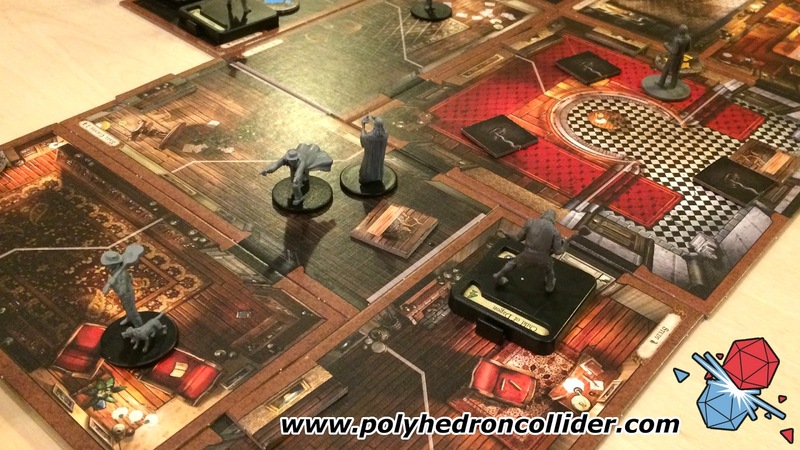 The first edition of Mansions of Madness was a good game hidden behind an hour of tedious setup that was prone to go wrong (like putting a key the wrong side of a locked door) but the Second edition did away with all that and the GM and made a heavily thematic mystery that is built as you play. The app controls the monsters, the map and even keeps track of what evidence and items you have collected. The result is half way between the adventuring and combat of Descent and the mystery and puzzle solving of T.I.M.E Stories, balancing the finding of clues and evidence with the fighting off of deep ones, zombies and a mob of angry locals that have beat the snot out of me every time I’ve set foot in Innsmouth. It all comes together to make a richly thematic experience and shows just how technology can be used to enrich our table top experiences.